Stylish and elegant, yet understated, the Eclipse flatware collection from Steelite will take any tabletop presentation to the next level. The clean lines, wide, contemporary edge and polished finish offers a unique compliment to a wide variety of china patterns. 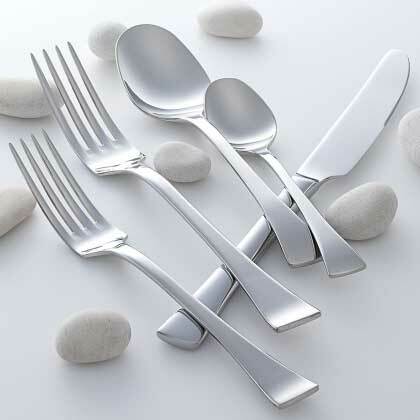 Made of high quality and durable 18/10 stainless steel, Eclipse will stand up to the rigors of restaurant use.